London based duo LT CHI SOUND SYSTEM are composers/musicians Liz Chi Yen Liew and Tom E Morrison. Their music evokes the passing of time and the changing seasons and conjures up images of the landscapes of China – its majestic mountains and picturesque rivers. Described as ‘Chinese Café del Mar’ their music moves effortlessly from the drama of the Dragon Boat race to the delicate Chinese summer dance to the gritty Beijing Underground techno scene to the joyful Spring Lion dance. 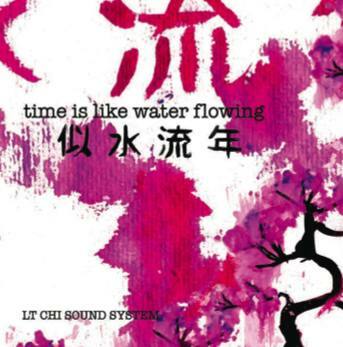 Blending Chinese instrumentation including liuqin (mandolin), guzheng (harp) and red flower drum with Liz’s ethereal vocals/violin and Tom's electronics/ soundscape wizardry, LT Chi Sound System’s sound is indeed a unique blend of Eastern and Western influences. They are joined live by a drummer/chinese percussionist and violinist/erhu player which brings the unique fusion sound to life. Their debut album TIME IS LIKE WATER FLOWING... was originally written for the Greenwich and Docklands Festival for their show with the same title which was performed on 19-22 June 2008 at London Docklands O2 Arena. Fusing their music, the virtuosic skills of French aerial performance company Les Passagers, Beijing visual artist Huang Yan, and innovative Chinese multimedia duo 8gg, Chinese landscape painting is brought to life on an epic scale blending traditional and contemporary artforms, depicting the passing of time and the four seasons in a spectacular performance. British-Chinese musician/composer LIZ CHI YEN LIEW performs as one half of electro-acoustic violin band CHi2 a dynamic fusion of acoustic, Chinese and electric violins and electronic beats. Dubbed as "double violin assault specialists", they regularly perform throughout the UK and have toured in Singapore, Thailand, Taiwan, Macau and China in conjunction with British Council and MTV, presenting their unique sound throughout South East Asia. Chi2 have just toured their MONKEY KING: A MODERN BEIJING OPERA multi-media show in the UK as part of CHINA NOW and with support from the Arts Council. As a session musician she has toured/performed/ recorded with Moby, Gnarls Barkley, Nelly Furtado, Lamb, Boy George, KLF/Orb, Barry Adamson amongst others. Award-winning producer and composer TOM E MORRISON has worked in an eclectic musical arena, mixing and engineering for renowned UK band Underworld, remixing for P Diddy's Bad Boy label, to scoring for prestigious TV, film and documentary projects. He has recently completed an 11 album production project for world music label Casa Paradiso and his collaboration with the legendary Kuljit Bhamra is due to be released this Autumn. Together with his wife, highly acclaimed vocalist Rachel Morrison, he performs and writes for the band project Bliss.